Private Event 60th Birthday Party! I wish I knew where to start first. I had just over 70 people for my husband's 60th birthday. I wanted something different for entertainment. 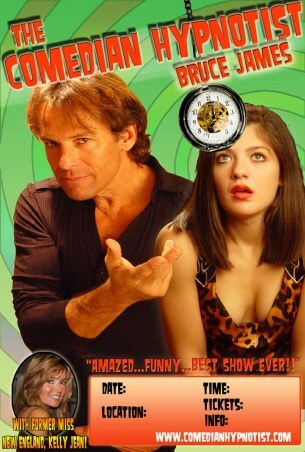 Thought a comedian would be good but then saw a hypnotist/comedian. Looked at the reviews and thought it was to good to be true. one of the most passionate people I have met as an entertainer! He truly made our party a SUCCESS along with his assistant Kelly. Our guests are still talking about how much fun they had. The laughter he provided and the confidence he instilled in our guests was absolutely AMAZING. He got everyone up dancing, mingling and the jokes was fantastic. But then, the hypnosis! Now that was a talent! Our guests were in AWE. and I look forward to seeing him again in the future at other events. and most of all for being the people you are REAL nice people. for your wonderful presentation that was enjoyed by all. The show was the hot topic of discussion on Monday in the office! pass along to other staff members. May you inspire many more people in your future. in fact everyone is still talking about it. Confirmation that they all liked it far more than the entertainment in prior years. Thank you again for a great night and good luck with your book release. Everyone enjoyed the show and were amazed. yet it felt like I was in another realm. I guess I felt free and I guess uninhibited according to the videos LOL. I don’t think I would’ve danced or “sing” for my co-workers in the natural. I felt relaxed afterwards but did have a bit of a headache but I was fine. I got on a flight that night and went to sunny Florida so I relaxed even more (just got back). and I look forward to working with you again in the future. All I've heard heard has been people raving about you and your lovely assistant! That was such a treat, and the whole audience, as far as I have heard, agrees! Thank you again for being so kind to work with us and for putting on an incredible show. I can wait to read your book! Thank you for putting on such a good show last night. Everyone has been talking about it all day! and asking for us to do it again next year. Thank YOU for another fantastic show! Students loved it (yet again). and although they loved the whole night, YOUR event they said was the highlight!! If you noticed, they started taking their seats before 2:30 with anticipation! You never seem to disappoint! They were amazed. Thank you again! I work as a social event coordinator for a small, rural school district out of CT, about 600 students in the high school. 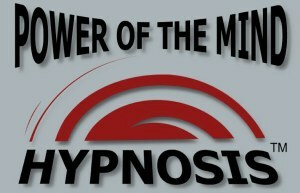 We have never hosted a hypnotist show before but had heard great things from another school nearby. From start to finish, Bruce was professional, kind, and willing to shape his show around our needs. substance abuse, and drunk driving, which was really great to see and didn't seem forced. who couldn't take enough photo's and video's of their friends on stage. 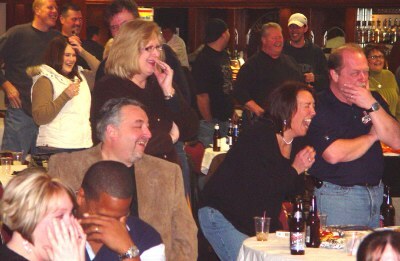 The audience was very diverse in age yet everybody was laughing the whole time. it wasn't just students, but parents too, which was a nice addition. we just needed to provide the stage and lights for the auditorium. 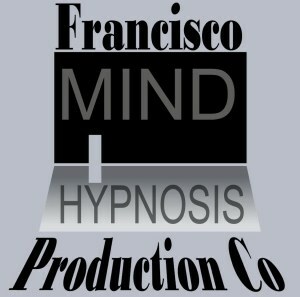 to congratulate the participants and talk to the hypnotist. or if we could get him for project graduation. who didn't go definitely missed out. What a great couple! Bruce has an endless supply of energy and talent! His wife Kelly is as sweet as she is Pretty. I hired them for my son's rehearsal dinner party. I wanted to do something different, fun and memorable. As soon as I met Bruce and Kelly I knew the night was going to be great. I don't remember anything except I felt really good. but this guy is unbelievable! He's the real deal! How did you find him? Where Is he performing next? The whole crowd was amazed and in awe. but when it was over they all but attacked Poor Bruce for autographs and pictures with him. a show that leaves you feeling better than you did when you came in, you've got to get Bruce and Kelly! I hired them again 2 months later for my 60th birthday party! And once again they nailed it! we will be seeing you again very soon! My son's friends are already planning to have you at their rehearsal dinner! Someone at the wedding called for your information, they want you for their 50th wedding anniversary. Bruce you did a awesome show at Bourne high school. just wanted to leave somewhat of a review! 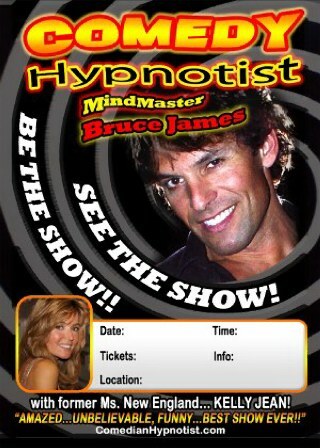 Bruce James was the comedian hypnotist that my daughter wanted for her sweet 16 birthday party. He was really great!! Great interaction and just absolutely amazing!! His show was hysterical and all the kids and adults had a great time! that the entertainment had certainly done their job!! Thank you so so so much for making my daughters birthday party one to remember!! I'm sure her friends will be talking about it for some time!! Bruce James you rock!!! 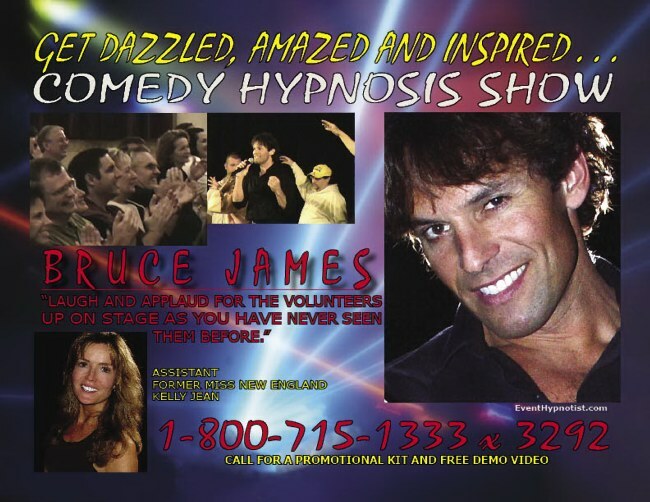 We hired Bruce James for a show in our community. Oh my, it was way better than we expected!!! thanking us and telling us what a fun time everyone had. Highly recommend hiring Bruce for your next event. - they felt great and had some new concepts to incorporate into their lives. but you put it in such a way that they were eager to try it. I plan to incorporate that into my daily routine (once I return to a routine!). Thanks again - you put on an excellent show! by a friend when we mentioned that were looking for entertainment for our annual summer kick off picnic. so we didn't know what to expect. to make us feel very comfortable leading up to his appearance. arrived things continued to run smoothly. They even helped us move some tables while they busy setting up their own equipment. and it felt like we had booked superstar acts for our show. with the entertainment but that they got to feel like superstars too!! We had a great experience. Bruce is top notch!! I am glad that I had the chance to meet you. as I was outside with a student with some anxiety issues shooting. that the kids and chaperones were enjoying your show. I will recommend you for any event anytime. "Bruce did an amazing job with a large group of high school students. Their attention was captivated from the opening seconds until the end. It was fast-paced, lively, entertaining, and thoroughly enjoyable. Both the adults and students loved every minute of it. Our only regret was that the show couldn't last longer!" "I have to be honest..... THE SHOW WAS GREAT!!!!!!!!!!!!!!!!!!!! I have heard nothing but good things from all of my co-workers. I laughed so much! It was really good. You and Kelly both have a way of captivating the audience. I didn’t want the show to end! Thank you very much for making this one of the best holiday parties I have planned. I hope you guys both have a wonderful holiday season. It was such a pleasure meeting and working with you. You are a talented motivator and skilled professional. It's unanimous!...... all of my team members have enjoyed the experience. It has generated quite a "positive" buzz that has extended to others who were not in attendance. It's obvious that you really love helping others. I look forward to learning more about your perspectives on life and the workings of the mind. Thank you for offering this opportunity to me. positive experience for my "guys"! Bruce James is a big hit at our Holiday Party. an outstanding show. We were in stitches the whole time. and just having a hoot of a time. His show is very professional, classy, with no over the top raunchy stuff. and gave us some thoughts worth pondering. for one of your functions, be it company or social. I saw your show at the Plainville Hot Air Balloon Festival. I immediately knew I wanted to bring this show to Bethel, CT.
in the fall that would help us attract more students to our center. Your program was perfect! teens and parents all thoroughly enjoyed themselves. I look forward to having you in Bethel in the future. Bruce was an absolute pleasure to work with. It was a pleasure to have you and Kelly with us. from our Stewards was so positive. Thank you both for being the highlight of our day. Hope to see you both again very soon!! You and your wife were AMAZING!!! I've heard nothing but great compliments about that night!!! The show was a huge success and absolutely hilarious. Everyone is still talking about it days later. I look forward to having you back next year. I have watched the video's I took about 10 times showing family and friends. I am going to post it on my FB so our HS parents can see. You have a great talent and you are the hit of the night. came up and stayed wake until noon...then I crashed! Well worth it...and thank you for helping make it such an eventful night. Can't thank you enough. You were the best. I cannot thank you and your wife enough for an outstanding show! and so many smiling faces. Hi Bruce and Kelly, Thank you both so much for working with us! even among students who did not attend. asked if we would be having the show again next year. Even all the cheer girls were talking about next year. LOL! Our school principal was also in the audience and loved it! Erica (my co-coach) and I definitely want to make this a cheer fundraiser tradition. to booking another show with you two next year. I will definitely share this email with the girls as well. Have a great summer! Looking forward to next year! Still getting phone calls from my family saying it was their best day! Thank you so much for such a fun time. Definitely will be calling you in the future. We did get good feedback and we've doubled the audience since our first event. We hope it keeps growing! We'll talk with you next year! The show was ABSOLUTELY amazing!! completely absorbed in the show. so I didn't think it was actually possible to be hypnotized. and getting them to participate. but by the end of the night everyone was mind blown and excited. I have not laughed so hard in so long but i couldn't help it. The students who had volunteered to be hypnotized were too funny. They really made the crowd enjoy the show, it was like watching a comedy act . they do adult and g-rated so its perfect for school, corporate events and businesses. You and Kelly were awesome. Every one had a wonderful time. I will certainly recommend your service. about it when they got to the next event last night. I can serve as the referral for Harvard if you'd like. to this year's Woodstock Fruit Festival. really had a great time at your show. I hope you can join us for next year's event. We all had such a fun time at your event. jump up and down and laugh like they did Saturday night. Maybe even do an event over the winter to liven up our employee party! The kids really enjoyed it and it was certainly the topic of conversation the next day. Thanks so much for making the trip! Thank you and Kelly for helping us make it a wonderful day for her! It went well beyond our expectations and you have a tremendous skill and are well received by all! I am grateful for your sharing your talents and being a great friend as well. Bruce James and his staff performed at our club on January 28, 2012, this was the second year in a row that they have put on a show for us. Members had so much fun the first year - they requested another show!! Bruce James, Kelly, Mike & were great to deal with, very professional, reasonable and very accomidating. This event was held as a fun raiser and was a great sucess. Everyone who attended had an excellent time. Each year was different as there were different participants!! we really had an awesome time - I would highly recommend this show!! Words can not even describe how much fun was had by all. Well worth it!! We recently had Bruce for our daughters Sweet Sixteen Birthday Party and it was more than I expected. When we booked Bruce we were looking for something that would be a little different and entertaining for both our family and friends. We had no idea how entertaining and worth the cost this decision would be. The party was a huge success and will be talked about for years to come. Bruce was a gentlemen and very entertaining for both the younger crowd and the older crowd. We have not laughed that hard in a very long time. Our sixteen year old was one of the lucky ones to be hypnotized and she was hilarious, along with all the others. Bruce puts on a well organized and entertaining show and we will definatley recommend him to others and use his services in the future as well. Thank you Bruce for helping to make Kelseys Sweet Sixteen the party to remember!!! Bruce came to perform at a university and he did a tremendous job! and then he hypnotized some people. Everyone in the room was laughing and having a blast!! "I have not laughed so hard in a long time." and "I was in this school for three years and never have I had as much fun at an event as I had tonight." There was such great feedback and it was a fun night for all. Bruce is very professional and can cater the show to whatever crowd he is working with. There is nothing bad to say, we had a very positive experience! Thank YOU for such a great performance yet AGAIN!!!!! You were a total success. It was my pleasure to right a review for you and I can't WAIT to get the dvd!!!! I already had one of my guests ask for your phone number!!!! You will absolutely be hearing from me again....every year I have a holiday party at my studio and I think it would be awesome to have you there this year to entertain my students. Once again, it was great to see you again. Your assistant is absolutely a sweetheart and it was a pleasure meeting her also. Talk to you in the near future. Hi, Bruce! The show was absolutely fantastic. and to make sure everyone was comfortable with the show. And feel free to share my information with anyone looking for a more detailed recommendation. I always promote the things I believe in, and I'm now a big fan of your show. Thanks again! 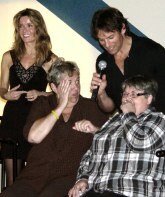 and were surprised at how affected people were by hypnosis. They never laughed so hard! Excellent had a great time. Very entertaining. Puts on a wonderful show. Crowd Pleasing - Audience Oriented - A wonderful Show. He connected well with the audience, people were comfortable relaxed and engaged. Found him to be sincere and very funny. I thought the show was absolutely amazing!! You are great with the kids. – and I am trying to get my director to have you come back for an adult show. All feedback we heard was great. People had fun and were quite amazed. Said they would attend another show with you. Your and your staff were very easy to work with and freindly to our guests. (with you, it is possible because of great word of mouth).